Sometimes it pays to listen to advice! Vikki’s client wasn’t so sure about the black and white until he saw the final result. Wow! It looks amazing! Sometimes it pays to step out of your comfort zone. Worst case scenario, you can always just paint it again! See more from Vikki at Uniqueantweaks. Previous story Pumpkin Bowling or Pumpkin Rolling? Do you have any instructions on how to do this? What kind of paint works best? Thank you. I didn’t know if that was what it was or not. I have seen a few different things used. I am in desperate need of your advice. 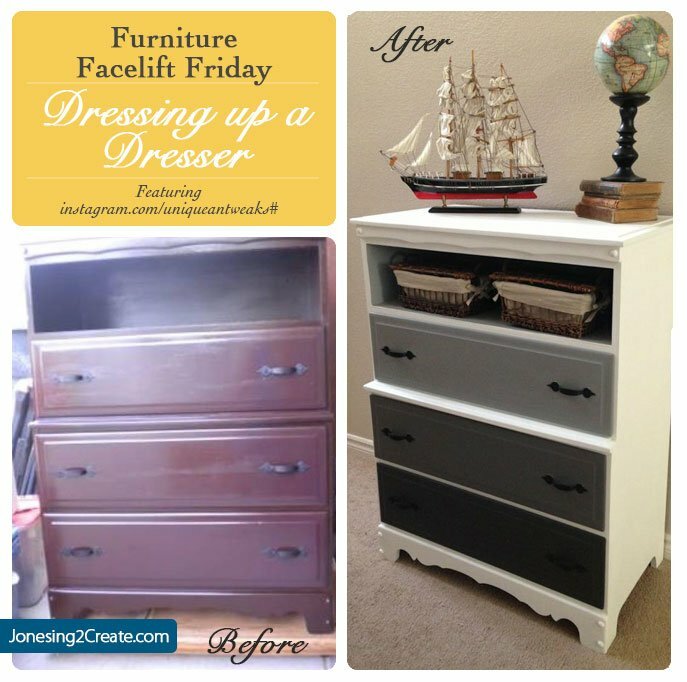 My husband and I had an old dresser that we refurbished – same color scheme of black top and white elsewhere. Anyhow, it is for our firstborn’s nursery. A LOT of hard work and time has gone into the dresser. We did a LOT of research on sealants and almost all reviews recommended the MiniWax Polycrylic water based brand. Well, we tested it out and our bright white is now a soft light yellow. 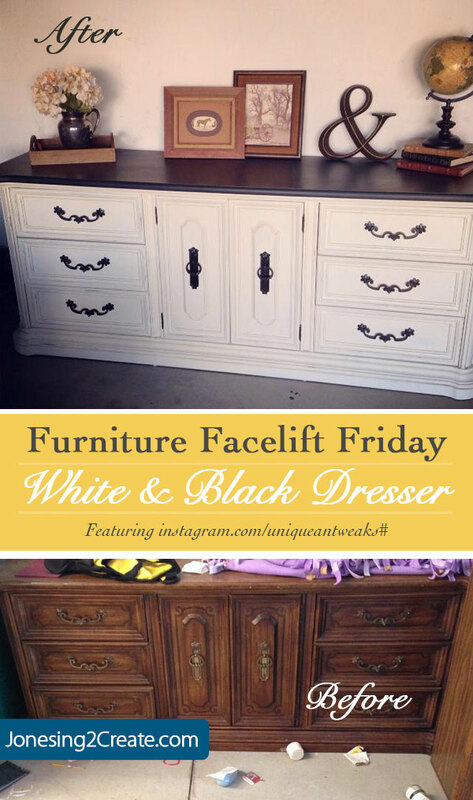 Would you mind sharing what you used on your black and white dresser with us PLEASE?!?! ?